I recently had the opportunity to sit down with Velocity 2X, developed and published by FuturLab, for the PlayStation 4. This unique shooter is a mix of a ‘shoot ‘em up’ and 2-D side scroller. Think Galaga and Mega Man mixed into one game, though the wider influences that seemed to inspire this game are nearly endless. The heroine of the story, Kai, must pilot a ship while picking up survivors along the way. The ship must enter ports where Kai sets out on foot in a side scrolling fashion to collect crystals and fight her way through guards. 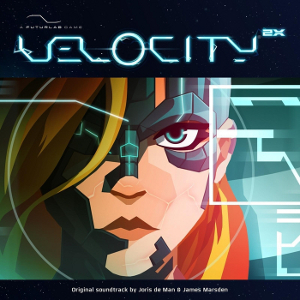 The futuristic musical score, written by Joris de Man (Killzone trilogy) and James Marsden (the man behind FuturLab), certainly matches the game. But is the complete soundtrack so worthwhile on a stand-alone basis? First, for the good: the music for Velocity 2X is well-sampled. The cool and futuristic sounds of the music here is definitely on par with the sounds of today’s popular music. The bass tones were mastered well and shook my subwoofer. Owing to Joris de Man’s origins in the demoscene, there’s also a delightful retro sound in many of the tracks reminiscent of the Amiga. “Perilous Escape” are one of many examples of this blend of old and new, blending catchy pop-flavoured melodies with spacey beats and deep bass tones, while “Rekenium” and “Rescue” produce serene tones with their serene tones. That said, I feel that a lot of the music here could have been more fun to listen to. While the concept of the tracks is generally interesting, many pieces lost steam after the first minute or two and tended to space out a bit. 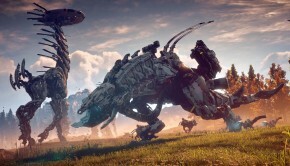 The synth sounds and beats often prove repetitive, meaning parts of the game feel like a grind. This occurs both within and between the tracks; while an orchestral mix of synths and electronic style percussion could have been really epic at the end of this soundtrack, instead the soundtrack maintains the same half-retro, half-futuristic electronic soundtrack throughout all the way from “Flight Computer” to “Vessel”. It’s not helped that the mixing of some of the tracks here tends to de-emphasise the melody; the bass, beats, and drums — what I often consider the ‘icing on the cake’ — are often too upfront to the extent that they cover up the melody and countermelody. For example, while the uplifting melodies and catchy beats of “Hail Vokh” and “General Glaive” are each great on their own, I could not decipher why the melodies were put in the background here. While the sampling here is excellent, the mixing choices weren’t conventional and, in my opinion, don’t entirely work. 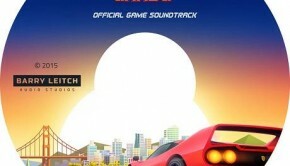 Several tracks on Velocity Ultra have been remixed from Velocity Ultra, including fan favourites “Quarp Drive”, “Protect”, and “Rescue”. Somewhat disappointingly, while the gameplay and graphics of Velocity 2X were a huge leap over the predecessor, these remixes don’t sound particularly different from the original. I felt a harder-edge and more melody variations would have been appropriate here to reflect the brilliant update in the game’s look and feel. That said, the reprises tend to be very enjoyable thanks to the strength of the original melodies and the melody of “Quarp Drive” is especially hooky. Focusing on some specifics here, “Boost” is heard when the mission calls for the player to complete the level as fast as possible. I really enjoyed this music as it gave me the sense of motion I had been waiting for since the game began. In particular, the drum fills were a welcome break from the techno-inspired beat and synth rhythms. On the other hand, “Inference” and “Velocity” proved too much for me in conjunction with the intense gameplay and explosion sounds. While their dubstep breakdowns are well done, I was more after hooky grooves and upbeat rhythms to fill me with triumph and courage to prevail against evil space aliens. The dubstep genre has a crunky attitude that is good for a club or a party, but not for a fast-paced and technical shooter like Velocity 2X in my opinion. 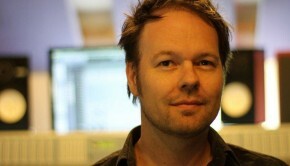 While Joris de Man is an established game music composer, I do not feel that this is his best game soundtrack. The repeated song structure throughout the soundtrack was repetitive and did not hold my focus both within and between pieces. In addition, I felt many pieces were conflicted between being beat-heavy dance music and melodic tracker music, which resulted in some imbalanced, confusing tracks. In-game, a an ideal soundtrack should make you want to return to the game to not only have fun and achieve a high score, but enjoy the music as well; however, the sometimes repetitious and overwhelming tracks here did not generally do this. 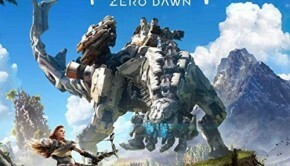 When just considering the soundtrack independent of the game, there were occasional sparks that grasped my interest and I will pull out a few of these tracks for an occasional listen. However, I think there is room for Marsden and de Man to further improve and diversify the listening experience. Posted on September 21, 2014 by Marc Chait. Last modified on September 28, 2014.